This article is about the film size. 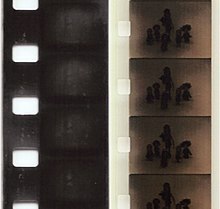 For the 1999 movie, see 8mm (film). For other uses, see 8 mm. 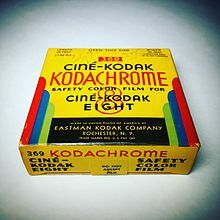 A number of camera companies offered single width 8 mm film in magazines or spools, but the format faded when Kodak introduced Kodachrome, as this was only available in the double 8 mm format. The first single run 8mm film was offered in 1935 with a Bell & Howell movie camera Filmo 127-A called Straight Eight. Single width 8 mm film revived in the United States by Bolsey-8 in 1956, and continued for some time outside the United States, with Germany Agfa Movex 8 [de] between 1937 and 1950's, Soviet Union KOMZ Ekran movie cameras and Svema offering reversal film in 1960's.